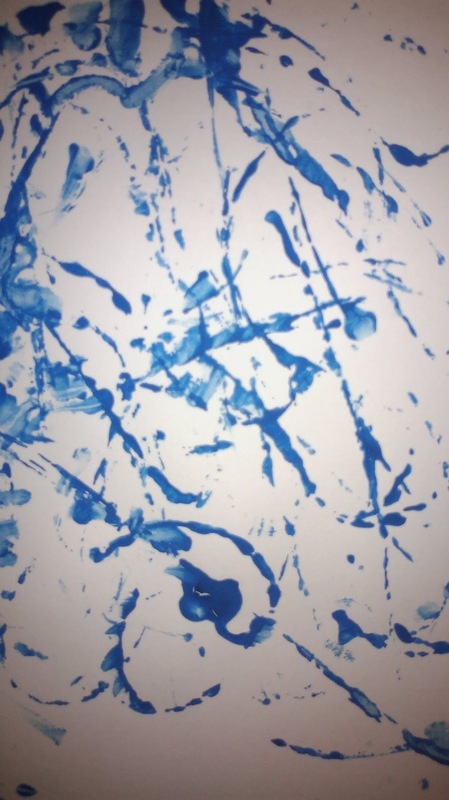 Painting of any kind is always good fun, but I like to explore different materials with the boys to make sure I'm not limiting their perceptions early on of what art is. Maybe then they won't grow up thinking the contents of the Tate Modern is a load of old tosh like I'm afraid to admit I do :) Today a hunt through the junk drawer in the kitchen (you know the one, you can barely open it but it's full of odd things that you can't live without but don't tidy away to anywhere less junky) revealed a ball of string, so that gave me this idea. 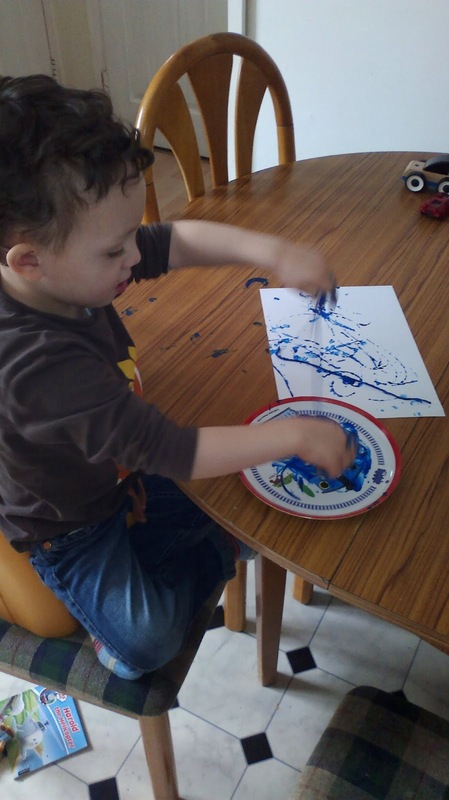 Cut up string into different lengths, squirt paint on a plate, encourage two small boys to squish the string around in the paint and then drag it over the paper and hey presto, string painting. replaced it with playdough for him, Ollie decided that playdough looked much more fun too, so we all spent half and hour rolling and cutting and squishing (and in one case eating) the dough instead. All in all a really fun half hour, even if it wasn't quite what I had in mind at the start.